Over the last half-century of cooperation, social movements, youth leadership, and economic democracy, cooperatives have been a resilient tool at the center. Esteban Kelly has participated in and been witness to the cooperative movement for over 20 years. This keynote will explore how all of those things are rooted in cooperative history and are ingredients for the social change we need to deal with the future of our planet and our society. Right now, movements for solidarity economics and workplace democracy are in an exciting stage of development. As cooperators, our experience with this model is a resource for the broader movement. NASCO member co-ops teach critical skills of interdependence. A lot of movements are focused on fighting the bad which can become all-consuming, but our work of building the new is an important offering. As we carry on cooperating, we look back to the legacy of cooperation left for us. 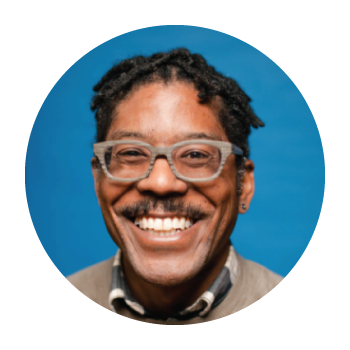 Esteban Kelly is the Executive Director for the US Federation of Worker Cooperatives (USFWC) and is a worker-owner and co-founder of AORTA (Anti-Oppression Resource & Training Alliance), a worker co-op that builds capacity for social justice projects through intersectional training and consulting. Esteban is a compassionate leader and visionary strategist who inspires organizers by drawing on science fiction and social theory for collective liberation. He serves on numerous local, regional, and national cooperative boards and previously worked at NASCO and the New Economy Coalition. As a mayoral appointee, Esteban Co-chairs the Philadelphia Food Policy Advisory Council, following 8 years as a worker-owner in Mariposa Food Co-op's Staff Collective. The ICC Ann Arbor is made up of 19 houses with unique personalities and rich history. Born during the Great Depression, growing by leaps and bounds in the sixties and seventies, and still going strong in 2017, the ICC has a long history of student cooperation. Join us on a tour led by ICC Ann Arbor members for the inside information on the ICC. Tours will be held Friday afternoon. The tour will depart at 10:00 AM from Ann Arbor and will tour Detroit and return to Ann Arbor at 6:00 PM on Friday. This is a great opportunity to learn about the city of Detroit and its history. The tour fee is $30 USD and will include lunch. You can sign up on your registration form. Every year, the Banquet is a time for all Institute participants to share the same space in reflection, over a hearty meal. We welcome new members to the movement and, in the Hall of Fame Ceremony, recognize individuals who have shown outstanding commitment to the cooperative movement through their hard work and tireless enthusiasm for cooperation. The AGM is where NASCO members can voice their opinions and engage in NASCO’s governance. This get-together gives delegates a chance to think and speak together as a broad and diverse membership about the future we envision for NASCO’s co-op education, development, and organizing. It is also the forum for active members to nominate and elect an Active Member Representative, who serves a one-year term on the NASCO board of directors. Cooperative Skills Roundtables are designed as open, participatory spaces to build knowledge in areas that are key to running your co-op. Knowledgeable facilitators will guide the discussion, but, more than anything, roundtables will give participants a chance to hear how folks in the room have dealt with challenges at their own co-ops. Everyone will go home with a packet of resources which will also be available on the NASCO website. Caucuses are spaces for participants with shared identities to raises issues, build connections, and organize for change: within NASCO, their own co-ops, and our larger communities. NASCO maintains email groups for each caucus so the conversations can continue year round. Caucuses are not spaces for people who do not share an identity to learn about issues affecting that group or offer their support (i.e. “be an ally”). Check out one of the workshops on these topics instead! Is there something that you’ve always wanted to share or teach? Do you have a rad skill that you’d like to showcase in a skill share? Are you looking to caucus with other attendees who share your identities and experiences? Would you like to present a workshop for your co-op, but need feedback from other cooperators first? Well, we clearly had you in mind when we chose to host the Guerrilla Workshop Spaces this year at the Institute. Conference attendees can sign up on site or attract attention by using our conference hashtag #NASCOInstitute2018. At any point on Saturday or Sunday, you are welcome to self-organize and use either of two rooms that are designated solely for Guerrilla Workshops. NASCO Properties is a cooperative land trust started in 1988 that has grown to include 16 houses in 7 states. The properties are leased at affordable rates to cooperatives in each area, and provide homes for 250 members. Everyone from a NASCO Properties co-op is invited to this annual reunion during lunch on Saturday!